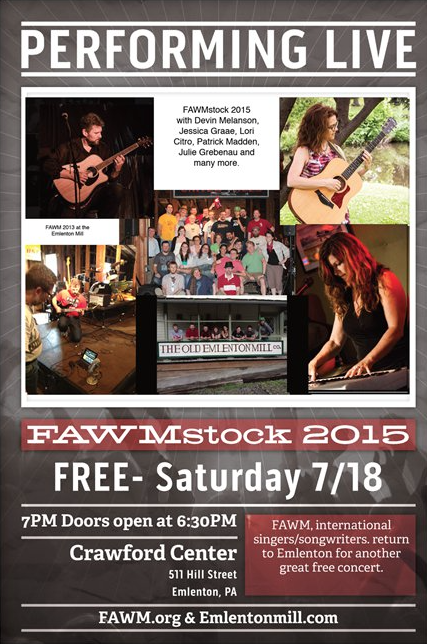 Next Weekend July 17-19 FAWM returns to Emlenton for its fourth weekend and concert. They will be performing at the Crawford Center on Saturday July 18 at 7pm. Doors open at 6:30PM. The concert is free and will be lots of fun.